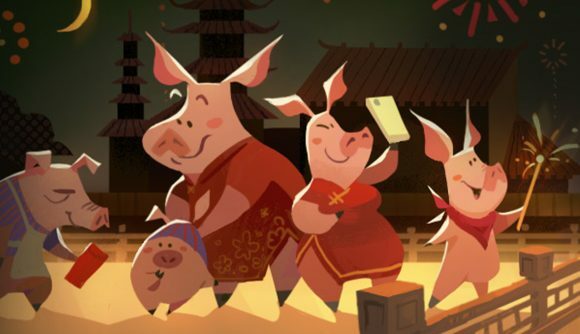 The Lunar New Year is upon us, and with it, another Steam Lunar New Year sale for 2019. You’re getting the usual wide array of discounts across the Steam catalogue, but this time Valve is offering an additional discount on big purchases – along with the opportunity to pick up more coupons and tchotchkes along the way. You can log into Steam and see the discounts right now, and the sale is set to last until February 11. You’ll get an automatic $5 discount on a purchase over $30, which Valve notes is “limited to one cart purchase per account” – and which will, of course, translate into your equivalent currency. Not a bad way to get some extra savings. The Steam Winter Sale 2018 featured voting for the Steam awards, and the winners for those categories will be revealed on February 8 at 10:00 PST / 13:00 EST / 18:00 GMT as part of a special Steam TV broadcast. As always, this is a terrific chance to catch up on some of the best PC games of 2018. You can get 34% off of Monster Hunter: World, 33% off of Into the Breach, and 40% off of Battletech. If you’re looking to catch up in time for the Far Cry: New Dawn, Far Cry 5 is a whopping 75% off. In an seasonally appropriate acknowledgement of how big gaming has gotten in China, Steam’s highlighted deals also include games by Chinese developers, with titles like Three Kingdoms: The Last Warlord and The Scroll of Taiwu leading the discounted pack.